Welcome, dear readers. I don’t normally post two blogs in a week, but this is a special occasion. Some of the writers from Severed Press have collaborated on a blog tour, and this is part of it. 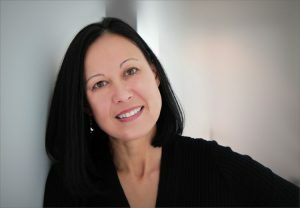 I’m happy to introduce you to award-winning author Lee Murray. If the name sounds familiar to you, it should–she’s been around these parts before. I first met Lee via Facebook, but was lucky enough to meet her in person at StokerCon a couple of years ago. She’s a lovely person, inside and out, and I can’t think of another writer who does more to boost the careers of her fellow authors, especially fellow female authors. She’s incredibly giving and selfless, and a lot of what she does goes unspoken, as she’s also humble. Please check out her books–I can’t think of a nicer person to support, and she’s also one hell of an awesome writer! Thank you, J.H., for letting me visit your blog to celebrate the release of Forest of Ghosts, and the success of your Severed Press title Return to Dyatlov Pass. 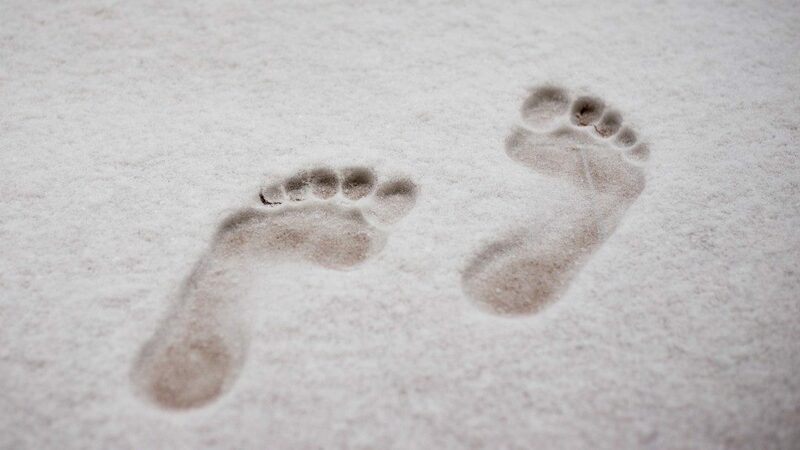 With the focus firmly on the supernatural and mythical beings, I thought I would take the opportunity to talk a little about New Zealand’s own version of the yeti, the places the creature is said to frequent, and some of the mysteries that surround our local legends. 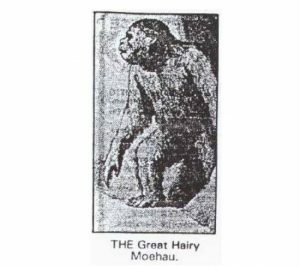 The yeti of New Zealand lore goes by a number of names, including the Moehau, but is best known by the Māori term maero. The muscular hominid-like creature is said to stand two metres tall. Covered from head to toe in dark shaggy hair, it has sharp teeth and talons and is thought to be able to manipulate tools and throw objects with force. Certain commentators suggest the creature resembles the Xing Xing creature found in Chinese mythology, and that it has cannibalistic tendencies. Some reports claim that the maero is crepuscular, appearing mainly at dawn or dusk, or at least that it is elusive, keeping to the shadows of the bush, in gorges, or in caverns. Early reports of the creature by Europeans were most common in the Bay of Plenty region where I live. For example, in 1882 a Coromandel miner was said to have been maimed by a maero in an incident which occurred at around the same time a local woman was also found murdered, her neck broken, twisted with extreme force…as if by a large creature. Some years later, in 1903, giant footprints, too large to be human, were discovered in the Karangahake Gorge. Māori legends are even more chilling. One such legend tells of a giant maero and his clansmen, who kept watch on the bluff at Heretaniwha (Bruce Bay). The stories claim that the maero would attack unwary travellers, disembowelling them with its sharp talons, then carrying the bodies off into the forest to consume at its leisure. Another famous tale surrounds a warrior named Tukoio who succeeded in slaying a giant maero. Tukoio dismembered the creature and removed its head to carry back to his village, perhaps to claim the creature’s mana (prestige/strength). However, still alive, the severed head called loudly for aid. Fearful that the head would summon the maero’s clansmen, who would come to avenge it, Tukoio dropped the head and fled. Later, when the warrior returned to the place with his own kinsmen, he found no trace of the creature. Instead, it is believed that the creature had reassembled itself and returned to its own people. It is clear from this tale that the Māori people believe the maero have supernatural abilities. Lee Murray is a multi-award-winning writer and editor of science fiction, fantasy, and horror (Sir Julius Vogel, Australian Shadows). Her works include the Taine McKenna military horror series, and supernatural crime-noir series The Path of Ra (co-written with Dan Rabarts) as well as several books for children and young adults. She is also the editor of ten dark fiction anthologies, the latest being Bram Stoker nominated Hellhole: An Anthology of Subterranean Terror (Adrenaline Press). Lee lives with her family in New Zealand where she conjures up stories from her office overlooking a cow paddock. Thank you, Debbie. Tha’t so kind. I hope you enjoy them! Their Yeti is a lot more aggressive than any of the other ones. Yes, it does appear that way! I bought and read Into the Mist several years ago, and really enjoyed it. Lee Murray is a talented storyteller. 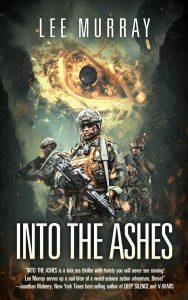 I’ll have to check out Into the Ashes. Question for Lee: Are there any books or stories out there involving the maero that you would recommend? Sounds fascinating, and what an inspirational setting! I’d love to visit New Zealand some day. I love to find and support female horror/supernatural writers! I’ll definitely check out her books. It’s fascinating to explore the various cultural references to these Big Foot-like creatures. Humans appear to have the same built-in fears and superstitions, no matter which continent they call home. Lee, I totally agree. It’s amazing how often cultural references run in parallel, isn’t it? I love to mine our local mythology in my work. It provides an additional perspective, and one that is often magically refreshing. As long as we “fatally-curious primates” hold onto our morbid fascination with the supernatural, Yeti will thrive. I enjoyed the post and the introduction to this guy from down under. It’s totally true! My office looks over a cow pasture, offering me a lovely bucolic view. Even better, I live in town, so I am not too far from a coffee shop either!